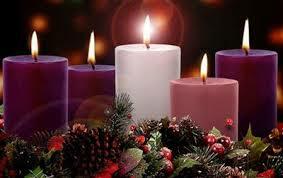 I love your point that the true war is on Advent. Christmas is truly my favorite season… but growing up I always felt like we did a good job of keeping Jesus at the center. Now that I have my own kiddo, born on the first Sunday of Advent! my husband and I spend a lot of time thinking about how can we keep Jesus as the focus. I really wanted to have that fun and anticipation, but Christ centered. As a family we decided to write Bible Characters for Advent, a children’s book that walks through Salvation History is a fun while. Even though our son is barely two he enjoys the book 🙂 Sure it is probably because he sees me and my husband talking about it. But I am excited to have each day of Advent filled with a story that shows how the Old Testament characters relate to Jesus, decorating our tree with crafty Jesse Tree ornaments.